LCA research asks What do Humans Eat and Why? 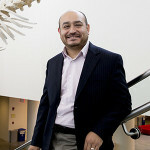 To answer this question we 1) research problems at the intersection of anthropology, human evolutionary biology and ecology, and 2) develop computational tools to address these problems. The evolutionary ecology and behavior of modern and prehistoric foragers. Theoretical and methodological development of models linking archaeological data to behavior and morphology. I am an archaeologist, human evolutionary biologist and biometrician. My research revolves around the question: “What do people eat and why?” To answer it, I study the diversity, ecology, evolution and co-evolution of behavioral phenotypes in prehistoric and modern foraging populations (human and non-human primates). Currently, I am interested in evaluating the effects that climatic change, variation of food-availability and-distribution had on the diet of some of the first forager populations across the North American Great Plains. 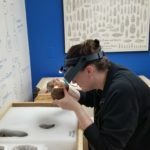 As a biometrician and computational anthropologist I develop quantitative tools to answer questions in the context of the major dimensions of archaeological research: space, time and form. To this end I develop and implement optimal foraging models, 3D-morphometrics software, and statistical software for human evolutionary biologists and zooarchaeologists, spatio-temporal statistical models, and Geographic Information Systems (GIS). Angel is a graduate student in Biological Anthropology (MA/PhD track). 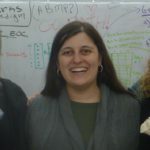 She supervises projects in the LCA and conducts independent research. She asks “Why do People Farm?” This research question centers on the biological consequences of the prehistoric foraging-farming transition in the Great Plains. 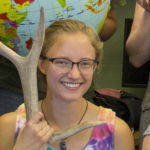 She is investigating why these people’s foraging strategies change, how those changing foraging strategies affect human skeletal biology, and how climate change affects foraging strategies. Angel’s interests include biostatistics, morphometrics, dental anthropology, mortuary archaeology, and bioarchaeology. 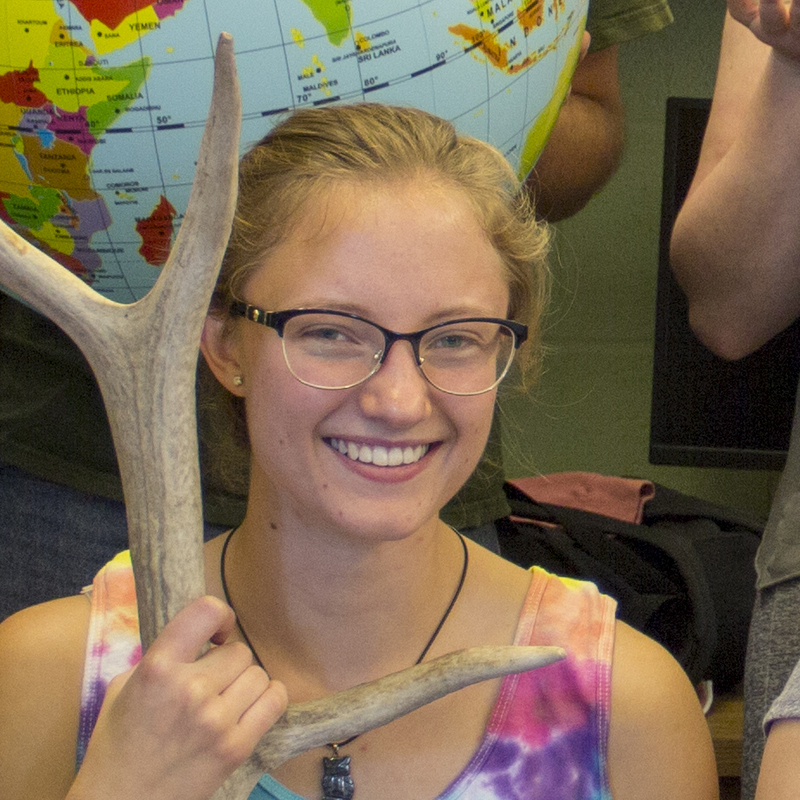 Her work in the LCA during Summer 2018 has expanded these research interests to include the evolutionary dimensions of human population biology/ecology. 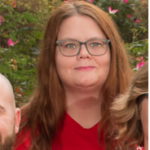 I am a recent graduate of the Anthropology Department and have worked in the LCA for the past two years. My work in lab has involved developing R programs such as the zooArchGUI package, which gives users a simple way to input and analyze statistical data. 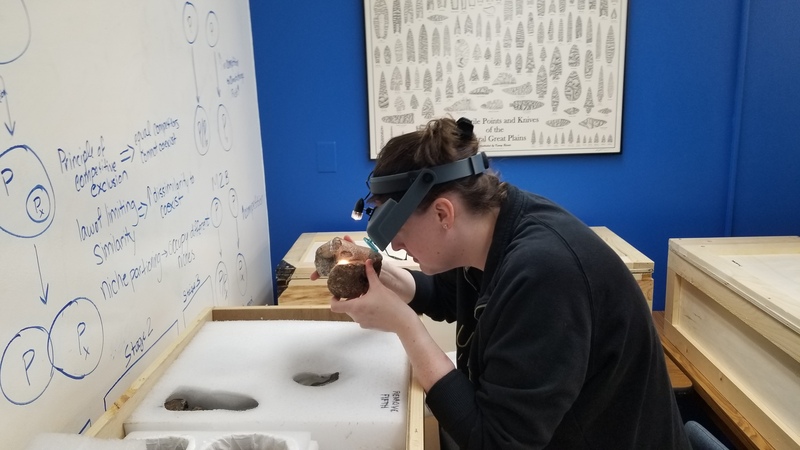 I also have worked on creating R programs to easily conduct paleoenvironmental reconstructions from archaeological sites, and on gathering information for a regional archaeological database using the published literature and Cultural Resource Management reports. I also received field experience in summer 2018, while surveying, mapping, and testing a newly discovered lithic workshop nearby. I will be working at the LCA in fall 2018 while preparing my applications for graduate school in archaeology starting fall 2019. I am a senior in Classics with a minor in Anthropology. 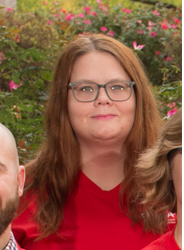 I started working in the LCA this past summer 2018 and will continue my project in the fall-spring semesters 2018-2019. I model 3D digital representations of cut (and other bone surface) marks on animal bones. I use open source software to reconstruct the bone and marks’ surfaces from 3D point clouds and scans. This fall, using newly acquired hardware (a fancy 3D scanner), I will also work on 3D capture, modeling and analyses of marks such as cut marks on bone of extinct North American megafauna. 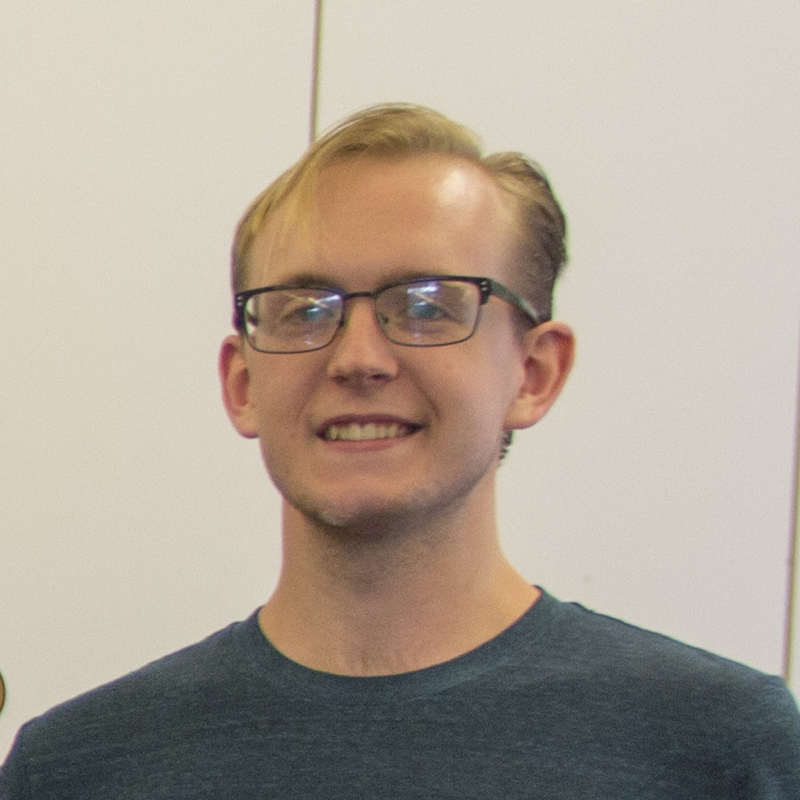 I am a senior majoring in mathematics at Purdue University. In the LCA I program R to construct and compare predictive models of the distribution of several faunal species, including human and non-human primates and human prey. I am currently comparing the data-based predictions from Bayesian and non-Bayesian General Linear Models and Machine Learning algorithms. I am a sophomore and an Anthropology Major at Purdue University. I started working in the LCA this summer 2018. 2. developing computational and statistical tools to address these problem. 3) Theoretical and methodological development of models that link archaeological data to behavior and morphology. 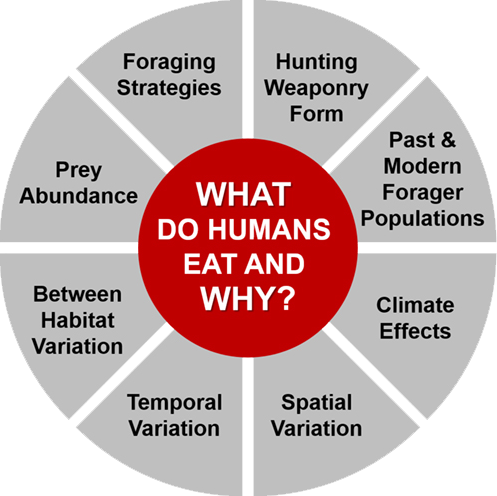 Specifically, we are currently testing hypotheses about how climate, spatial and temporal variation, habitat variation, prey abundance, foraging strategies, and hunting weaponry affect the dietary composition of prehistoric and modern human small-scale populations. Below you can find software programs which I have written (in R) to conduct methods I developed or implemented. Programs are freely available to the scientific community. These programs have been tested and debugged but I cannot gurantee that they are completely bug free. If errors are found, please contact me. Anthropology provides an excellent forum for the initiation of lifelong learning. I therefore strive to stimulate students’ intellectual capabilities and instill enthusiasm for learning about the variation in human evolutionary behavior and and how to successfully answer scientific questions about this topic. 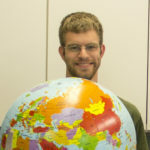 I currently teach several courses in Archaeology and Quantitative/Computational Anthropology. Descriptions for my primary undergraduate and graduate courses are provided below. If you are interested in discussing research or a class, just drop by my office or lab. Making an appointment first, however, might ensure I am in my office and will be able to meet with you.